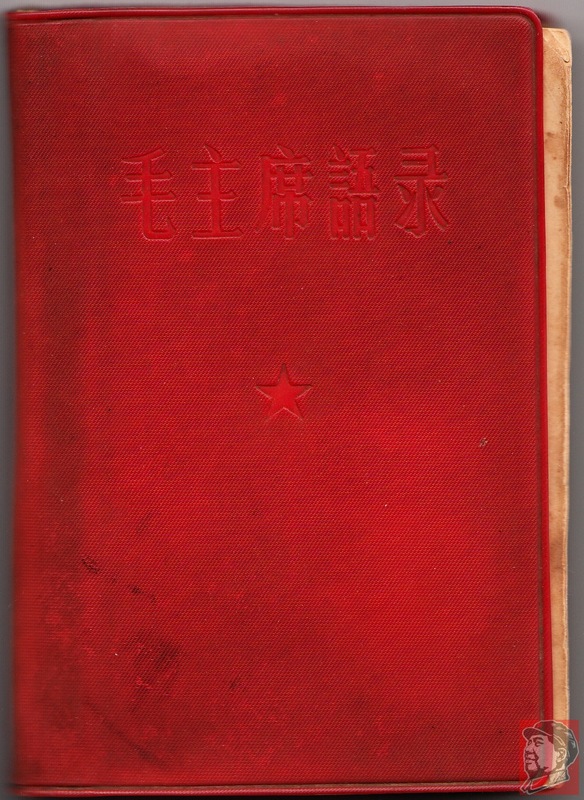 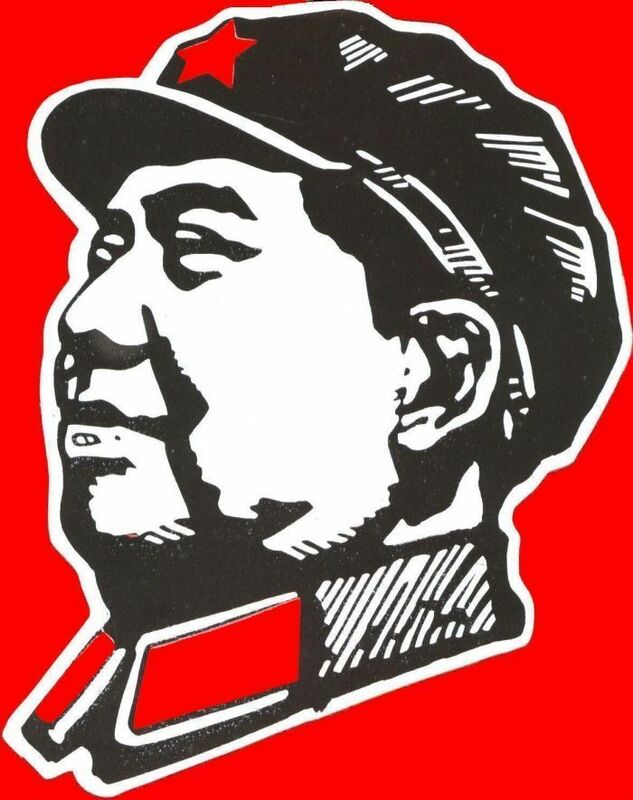 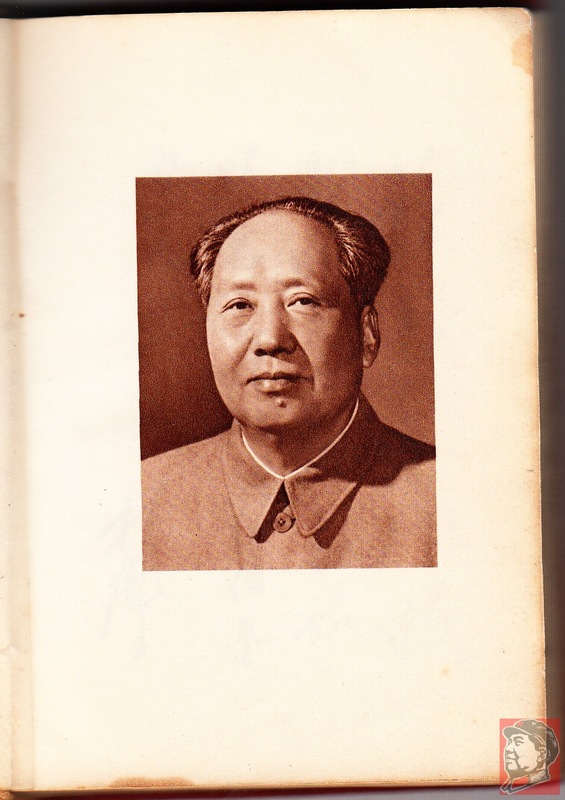 The aforementioned bible during the Cultural Revolution, in the more common red vinyl cover and with the complete 33 chapters and Lin Biao inscription intact that reads, "Study Chairman Mao's writings, follow his teachings and act according to his instructions". 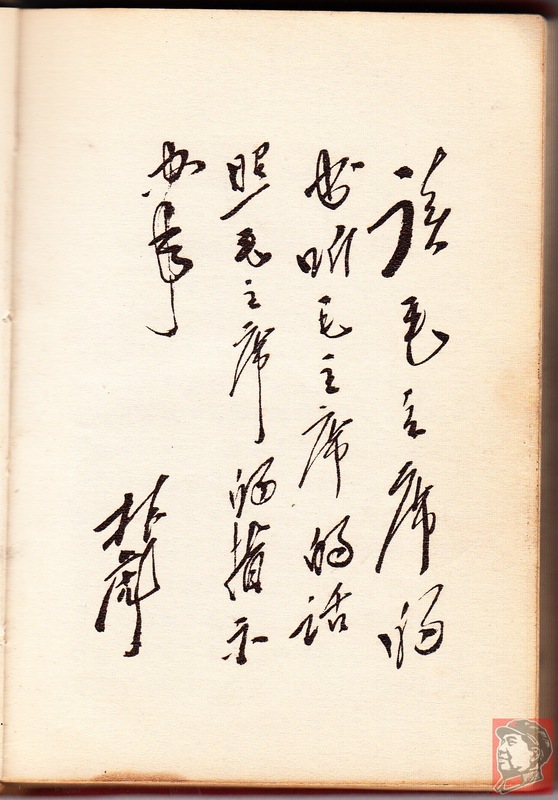 This copy is in good condition with some soiling on the cover and the previous owner, a Mr. Wang (whose red ink chop adorns the inside title page) took it upon himself to rename Chapter 24. 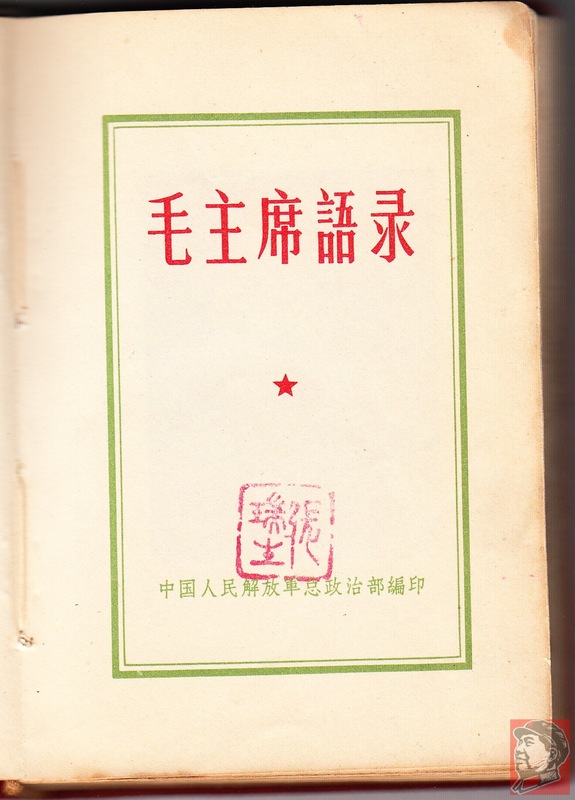 It was published November 1965.